Our client is a provider of social media marketing solutions to help marketing departments of enterprises of all sizes, including Fortune 500, to develop successful B2B Social Media strategies by creating social groups, implementing thoughts and ideas that drive powerful conversations, and leverage the “social authority” they gain to benefit their brand marketing. 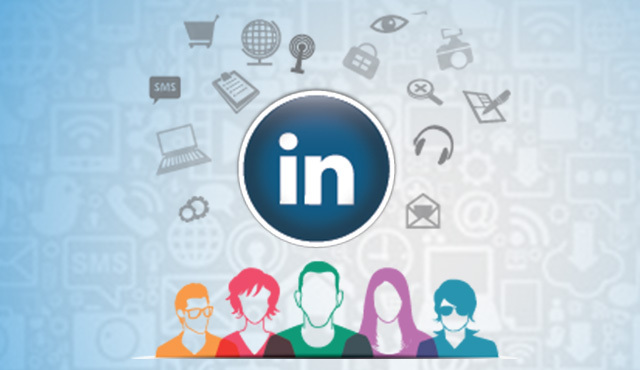 Our client is responsible for grouping more than 100 of the largest LinkedIn communities worldwide, all professionally-moderated. All together these business communities represent more than one million members. Our clients’ goal is to allow professionals to gather and share expertise related to their specific business interests and creates a profitable B2B community that serves your customers’ needs - and yours. Today, many businesses have leveraged the prolific growth of social media anchors like Facebook and LinkedIn, to create a following for their brands. J&J’s highly successful YouTube channels, the GAP Groupon promotions, PWC’s growing career portal on LinkedIn are some examples. These brands have created a large following of consumers, where the network participates in “conversations” with the brand-owners, sharing insights, opinions, and data that the brand owners can then take back to refresh their go-to-market plans. How to enable business dialogue over the social group? Xoriant team closely worked with the client team to understand the requirement and conceptualized the overall design to make the portal scalable and user friendly. Xoriant recommended and fully implemented search using Apache solr search engine for content search. The advantage of Apache is that it is a high-performance, full-featured text search engine library suitable that can be used for nearly any application that requires full-text search, especially cross-platform. This enabled fast retrieval of content across the portal. Xoriant developed a portal which helps corporations create, grow and manage vibrant communities, and harvest the benefits of managing communities: business intelligence, qualified leads, and human resources. Used LAMP, Amazon cloud architecture on Drupal 6 as the basic framework to extend the functionalities as per the requirements of a community portal. It started with creation of a single unified interface to architect, manage and monitor for different social networking websites like Linkedin. Enabled to showcase the marketing materials like presentations, case studies, other collateral on these community portals which are downloadable and members could leave in their views and opinions. Integrated Apache Solr search engine to enable the members to search their desired information thereby boosting the performance over site-wide search. Xoriant team’s immense expertise in customized portal development enabled us to achieve this. Such customized targeted solution brought our client great opportunities in attaining their business goals. The solution helped us establish a system to routinely gather market intelligence to improve strategic decisions, including resources and market positioning. We thank Xoriant team in enabling increase in awareness and credibility among potential customers of our clients. Single sign-on using social networking websites.